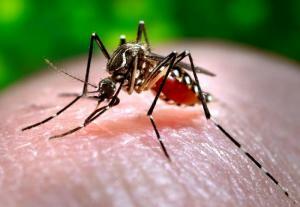 Dengue fever, also called dengue, is a potentially serious disease caused by a virus. There are four types of dengue viruses that can cause illness in humans. Dengue viruses are transmitted between humans by the bite of an infected mosquito. 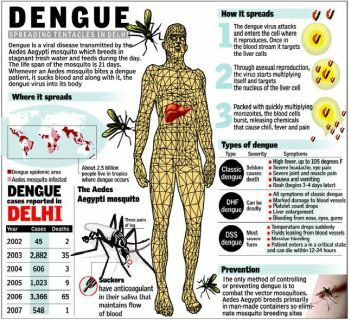 dengue fever symptoms, dengue hemorrhagic fever, dengue virus, dengue virus treatment, malaria treatment, Breakout, symptoms of dengue Dengue fever is a disease caused by a family of viruses that are transmitted by mosquitoes. Symptoms such as headache, fever, exhaustion, severe joint and muscle pain, swollen glands (lymphadenopathy), and rash. The presence (the "dengue triad") of fever, rash, and headache (and other pains) is particularly characteristic of dengue fever. There are no specific anti-viral tablets or injections that can kill the virus. However a lot of supportive care and treatment can go a long way to save a patient suffering from dengue fever. Dengue fever is rare in the United States but common and a serious public health threat in warm subtropical and tropical areas of the world. These include areas of Central and South America, Africa, Southeast Asia, China, India, the Middle East, Australia, the Caribbean, and the South and Central Pacific. Fever is treated by anti-pyretics, like paracetamol. Pain in the bone should be treated by analgesics or pain killing tablets. In case of Dengue Hemorrhagic Fever or Dengue Shock Syndrome hospitalization is a must. The mortality rate in the absence of hospitalization can be as high as 50%. With proper treatment the mortality comes down to 3%. More supportive treatment, like intravenous fluid replacement is required to prevent shock in these patients. Vaccines are being developed against all 4 serotypes and they will definitely be the most effective way to prevent the disease. Prevention of mosquito breeding has by and large failed in most endemic countries. Patients are prone to dehydration hence they should drink plenty of fluids. If necessary a few days of intra-venous fluids can be administered in the form of normal saline or dextrose saline. In some cases, oxygen is helpful. Steroids are not known to help. In a statement on Saturday, both the experts have also pledged to treat dengue patients in other districts of the province on humanitarian basis. Dr Gul Rehman said dengue fever is a preventable and totally curable disease and his team has its complete dealing technique adding if government provides them necessary facilities they will send their teams to other parts of the country to treat dengue patients free of cost. The incidence of dengue has grown dramatically around the world in recent decades. Some 2.5 billion people – two fifths of the world's population – are now at risk from dengue. WHO currently estimates there may be 50 million dengue infections worldwide every year. In 2007 alone, there were more than 890 000 reported cases of dengue in the Americas, of which 26 000 cases were DHF. The disease is now endemic in more than 100 countries in Africa, the Americas, the Eastern Mediterranean, South-east Asia and the Western Pacific. South-east Asia and the Western Pacific are the most seriously affected. Before 1970 only nine countries had experienced DHF epidemics, a number that had increased more than four-fold by 1995. Not only is the number of cases increasing as the disease is spreading to new areas, but explosive outbreaks are occurring. In 2007, Venezuela reported over 80 000 cases, including more than 6 000 cases of DHF. A dengue fever patient, he said just has to bring a syringe o f 20CC, rubber gloves, a butterfly, mask and one blood transfusion bag while all others required items and medicines will be provided to him by our team. He said we have started treating dengue patients in Peshawar and with approval by the government we will extend our services to other districts. He advised the deangue patients to visit Darul Madina Medical Centre in Skindar Town, GT road Peshawar or contact cell numbers 03005904266, 03005682387. As the dengue outbreak has wreaked havoc in Punjab, five deaths have occurred due to the dengue virus in Khyber Pakhtunkhwa. According to a latest report of Health Department Khyber Pakhtunkhwa, 109 suspected cases of dengue virus have been reported in the province out of which 44 cases have been confirmed. He said we have started treating dengue patients in Peshawar and with approval by the government we will extend our services to other districts. As many as 11 cases have been reported in Abbotabad out of which 10 were confirmed while 11 dengue cases have been confirmed out of 52 in Haripur. Dengue is prevalent throughout the tropics and subtropics. Outbreaks have occurred recently in the Caribbean, including Puerto Rico, the U.S. Virgin Islands, Cuba, and in Paraguay in South America, and Costa Rica in Central America. Because dengue fever is caused by a virus, there is no specific medicine or antibiotic to treat it. For typical dengue fever, the treatment is purely concerned with relief of the symptoms (symptomatic). 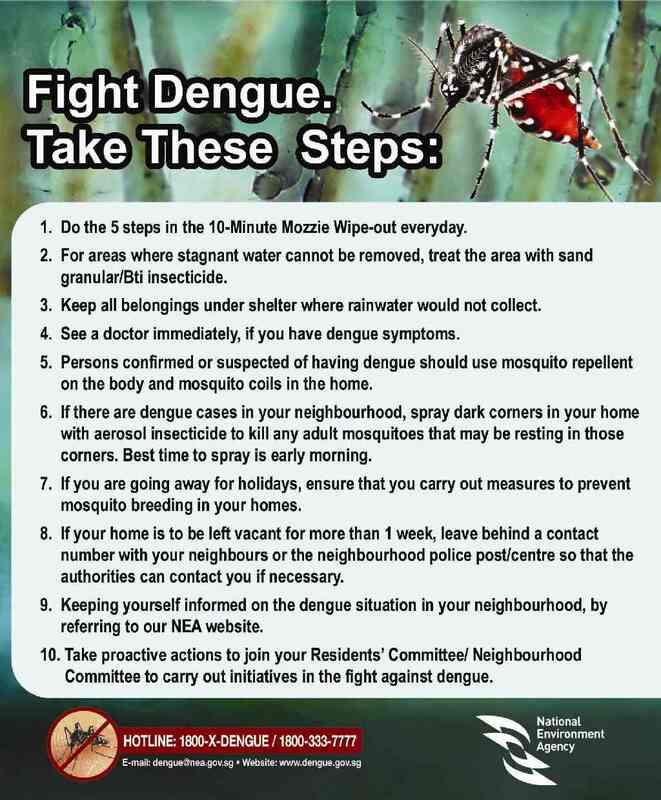 There is currently no vaccine available for dengue fever. Neither vaccine nor drugs for preventing infection are available. The bite of one infected mosquito can result in infection. The risk of being bitten is highest during the early morning, several hours after daybreak, and in the late afternoon before sunset. However, mosquitoes may feed at any time during the day. The clinical features of dengue fever vary according to the age of the patient. Infants and young children may have a fever with rash. Older children and adults may have either a mild fever or the classical incapacitating disease with abrupt onset and high fever, severe headache, pain behind the eyes, muscle and joint pains, and rash. Dengue haemorrhagic fever (DHF) is a potentially deadly complication that is characterized by high fever, often with enlargement of the liver, and in severe cases circulatory failure. The illness often begins with a sudden rise in temperature accompanied by facial flush and other flu-like symptoms. The fever usually continues for two to seven days and can be as high as 41°C, possibly with convulsions and other complications. Aedes mosquitoes typically live indoors and are often found in dark, cool places such as in closets, under beds, behind curtains, and in bathrooms. Travelers should be advised to use insecticides to get rid of mosquitoes in these areas and to select accommodations with well-screened windows or air conditioning when possible. Additionally, travelers should take measures to avoid being bitten by mosquitoes. 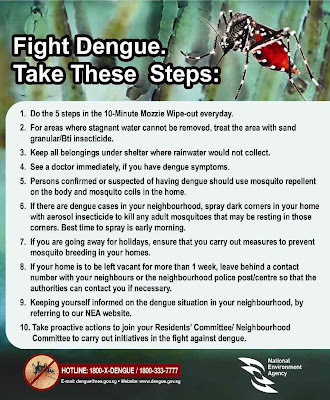 At present, the only method of controlling or preventing dengue virus transmission is to combat the vector mosquitoes. In Asia and the Americas, Aedes aegypti breeds primarily in man-made containers like earthenware jars, metal drums and concrete cisterns used for domestic water storage, as well as discarded plastic food containers, used automobile tyres and other items that collect rainwater. In Africa the mosquito also breeds extensively in natural habitats such as tree holes, and leaves that gather to form "cups" and catch water. Havana: A local health worker uses a torch to check for signs of water and mosquito eggs inside tyres in a tyre depot. In recent years, Aedes albopictus, a secondary dengue vector in Asia, has become established in the United States, several Latin American and Caribbean countries, parts of Europe and Africa. The rapid geographic spread of this species is largely attributed to the international trade in used tyres, a breeding habitat. Sip 1 glass 3 to 4 times a day. But remember, always consult your doctor first before undergoing any treatment. Our infectious disease specialists are still your best bet to get cured from dengue. Take care! Cats hair, asthma weed, basri dudhi, chara, malnommee, pill - bearing spurge, patikan kerbau, patikan kebo, fei yang cao, gelang susu, amampat chaiarisi, erva de santa luzia, fei-yang ts'ao, Dugudhika, snakeweed. A sheaf or a bundle has approximately 20 cuttings. Each cutting measures about 1 foot. Wash the cuttings very well to take out the soil and other dirt particles. Boil the camote tops for at least 5 minutes. Add a little salt to give flavor or a little sugar to make it easier to drink. Let the patient drink slowly and gradually. The camote tops can be served as a salad or an appetizer. The body’s immunity system is thus revived, making dengue helpless against the body’s natural defenses. Camote tops enables the body to heal itself. People no longer need to die needlessly from dengue, because the cure is just all around us. The lowly camote tops or sweet tomato greens can save lives. Fortify the health of your family against dengue by drinking camote tops juice.